Offering apartment services, hotel services, guest house services etc. We have a small quality driven collection of hotels & hotel apartments within one of the world's most modern and fastest growing city of Bangalore. Welcome to the Garden city - Welcome to Princess square Service Apartments Hospitality, where our promise of pure value, pure quality and pure service is delivered. 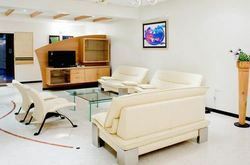 An essential attribute of all our properties are our convenience and central locations within the city of Bangalore. 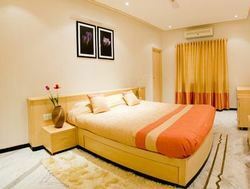 At princess square Service Apartments we provide a wonderful choice. Whether you are a discerning budget traveler or just looking for that element of luxury of a 5 star business hotel, we have the accommodation solution to suite you. Our deluxe hotel apartments offer a choice of both full hotel service operations as well as self catering facilities. We have an extensive choice of accommodations to choose from and our portfolio includes standard hotel rooms, deluxe hotel suites, studios, One, Two & Three Bedroom suite apartments, Royal Suites, Executive & Privilege Floors. 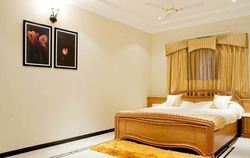 We are ideal for leisure, corporate travelers, stopovers & long stays. All our hospitality establishments provide only the highest levels of comfortable quality accommodations and we are the perfect choice for your next city break, business meeting or special family occasion.